Pfc. 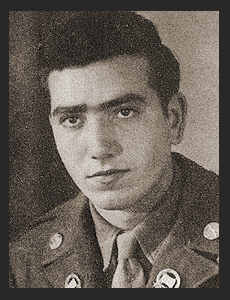 Emory J. Hagy, Jr., son of Mr. and Mrs. Evory Hagy, graduated from Grandfield High School and Okla. A & M. Entered Army in Nov., 1944, trained in Camp Fannin, Texas; served in Belgium, Austria and Germany. Awarded Croix de Guerre, ETO Ribbon with one Battle Star, Good Conduct Medal, Pres. Unit Citation with Oak Leaf Cluster.